We kinda had a feeling, you know. That Scandinavian food is the next big thing. Which is why, in 2006, Jonas and Bronte began making plans to take over the world. 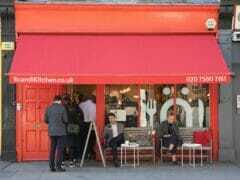 Or, at least, open a Scandinavian shop and cafe. We opened in 2007. 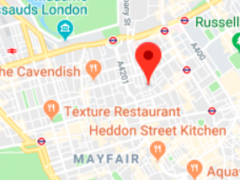 Now, five years later, our shop and cafe is nicely busy and we have a massive warehouse where we import to wholesale and we are also now an online shop serving the whole of the UK with Scandinavian foods. We have 12 amazing people working with us and we’re growing. And loving it. 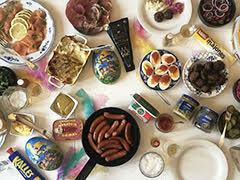 And so, for the past five years, Scandinavian food has become more and more popular in the UK. Along with flat packed furniture, bubble gum pop songs and some quite fantastic crime dramas, Scandinavian food has entered the everyday British life. From the cheese to the meatballs and the delightful breads, it is a growing segment of the food market – only set to grow bigger. This article LINK http://www.bbc.co.uk/news/magazine-17156175 was published by the BBC this week. 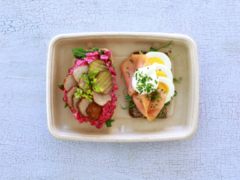 It talks about many interesting Scandi dishes – and it ends with claiming that “Scandinavian food probably won’t have a lasting shelf life in the UK” – but it entirely fails to discuss open sandwiches in detail – the perfect alternative to the boring triangular sandwiches on offer so many places here. Or how about a door stopper lump of bread with a bit of ham inside? No thanks. Give us a slice of rye bread, any day, with some toppings we can see. Stuff that tastes good and does you good all at the same time. Now, THAT is what Scandinavian food is all about, and we do believe that has a shelflife. We believe that Scandinavian food hasn’t stopped growing and reaching across the North Sea, that it will continue to expand its reach across. Why? Because it makes sense: our traditional ways of preparing food is naturally low in fat, high in protein and high in the good carbs, not the bad ones. We stuff you full of oats, rye and seeds. Eat some berries, little Johnny, and don’t forget to finish your meatballs. What the future holds remains to be seen – but for now, thanks to all of you guys who obviously believe that Scandi food is going to take over. Thanks for stopping by the cafe, thanks for using our online shop to satisfy your herring cravings: long may it last. Because we haven’t finished yet – we have buckets of plans and ideas and we can’t wait for the next chapter. 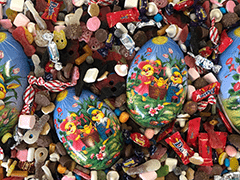 Feel free to comment – we’d love to know what you think about Scandinavian food in the UK.